Steam Powered Tales of Awesomeness™ is the brainchild of Brian D Thomas and Raymond J Witte, encompassing not only a book but a total steampunk “brand” that includes the IAAC — The Imperial Amerikan Air Corps — a uniformed performance troupe that brings the characterizations of Major Girth and his IAAC troopers to swaggering, colonizing, propaganda-spreading life. 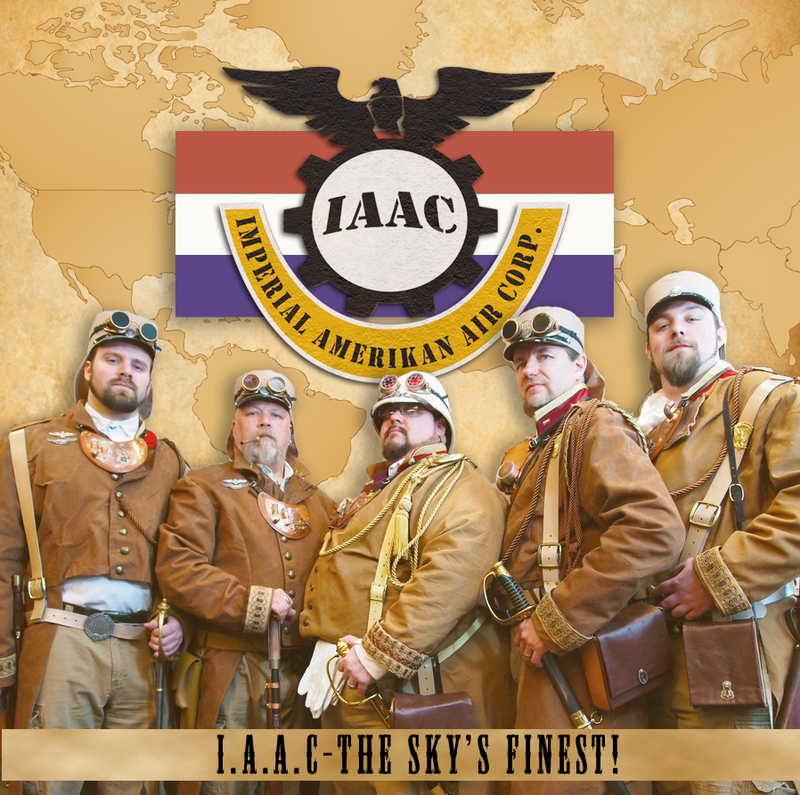 Founded in 2010, the IAAC attend various steampunk and genre conventions and functions and provide panel presentations on steampunk world building, prop creation and general steampunk community commentary. 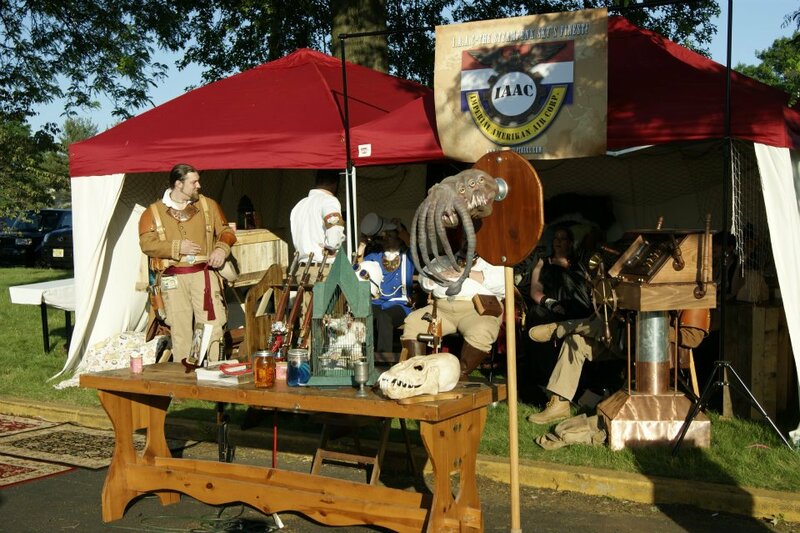 In 2011 we were awarded “Best in Show” for our costume and prop work at Steampunk World’s Faire in Piscataway NJ (and everyone knows Piscataway NJ is the center of…well…everything!). 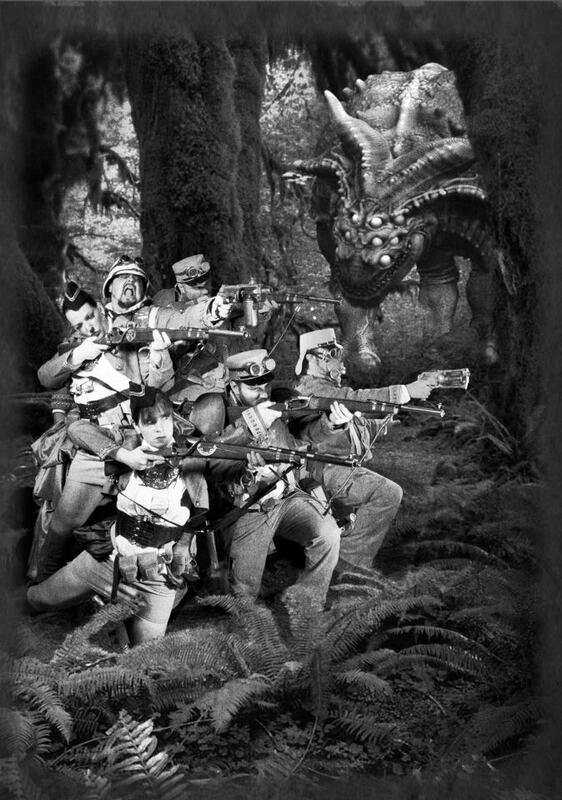 In 2012 we introduced our “Steampunk Imperial Amerikan Living History Camp” as a slice of steampunk reenactment complete with alien trophy heads, prop displays and in character storytelling and presentation. We also introduced The Cavalcade Of Fancy Ladies, a steampunk belly dance fusion troupe whose exotic adventures are featured in SPTOA Vol 2. To date we have created the first volume of Steam Powered Tales Of Awesomeness (SPTOA), numerous original costumes, props and illustrations and a series of steampunk Imperial Amerika propaganda short films. The short film collection was picked up and included on Kevin Eslinger’s Nickel Children film dvd release in 2011. The first volume of SPTOA is scheduled for a late-2012 release and includes the steampunk fiction collaboration of Brian and Ray, the editorial skills of beloved Greg Schauer of Between Books fame, as well as the illustration talents of me! (Brian, that is.) The SPTOA podcast and audio drama is currently in production and will air in tandem with the book release in the fall of this year. The exploits of Major Girth and the crew of The Irascible Wind. Follow Girth in his never-ending crusade to increase the dominance of Imperial Amerika, his exploration of alien worlds, and his quest for exceptional baked goods. The case files of the fearless paranormal investigator and man about town Horace P Thorton- a reluctant hero who would much rather get paid to drink and look good than have to shoot strange creatures in the face …but then a man has to do what a man has to do….and the pay is fairly good. 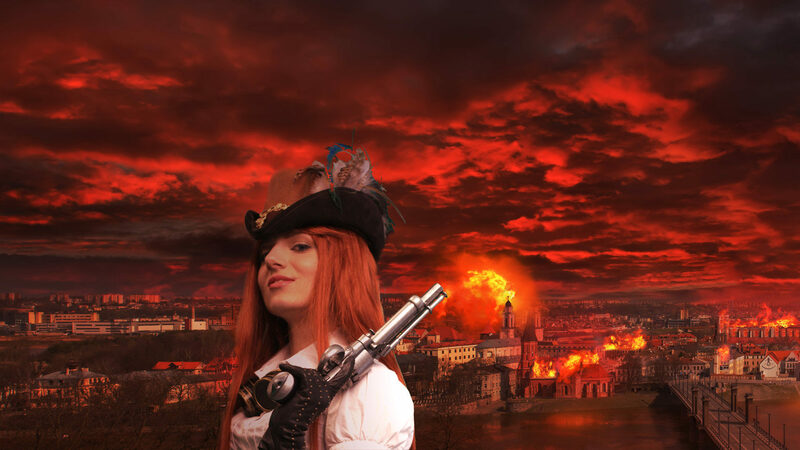 The adventures of Lady Citizen Wilhelmina Wigglebottom as she defends her beloved empire against foreign spies, alien invaders and bad fashion! 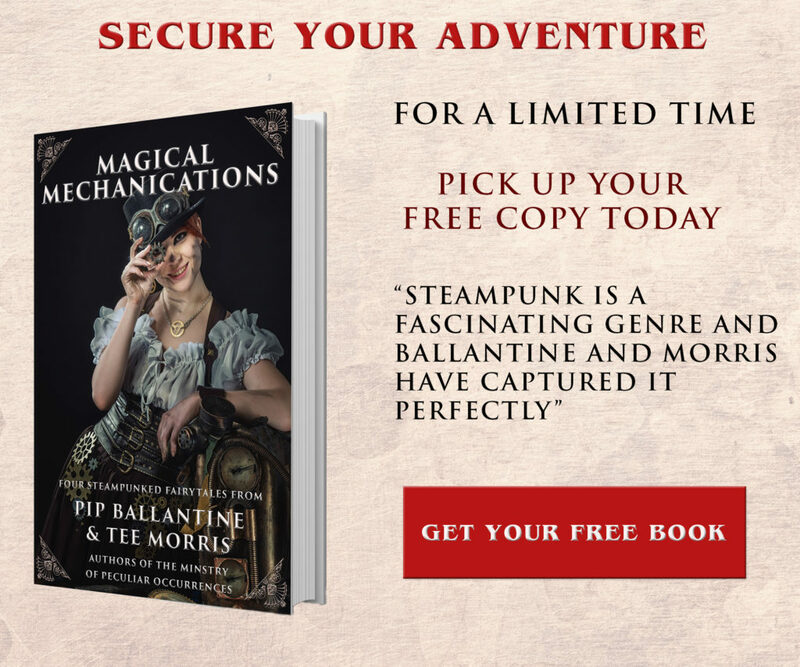 Tales of sky pirates, epic battles, alien worlds, sky portals and steam-powered…tales…of…awesomeness! …as much as they can. Brian D Thomas is a professional artist/multimedia designer with thirty years of costuming and prop building experience. Having worked on several international brands during his professional career he has turned his experience to something he actually loves…and has outlawed formal meetings and the words ‘synergy” and “pop” from all SPTOA and IAAC enterprises. The similarities between Brian D Thomas and the pompous, manipulative Major Girth are purely coincidental and no confusion should be made between the two. Major Girth wears a helmet. ← Previous Previous post: Finalists!